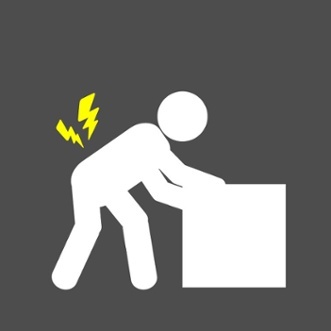 ErgonomicsAccording to the Occupational Safety & Health Administration (OSHA), musculoskeletal disorders (MSDs) are one of the leading causes of workplace injuries and illnesses. The Bureau of Labor Statistics, in fact, shows MSDs (e.g., carpal tunnel syndrome, tendinitis, muscle strains, lower back injuries, etc.) accounted for roughly 33% of all worker injury and illness cases reported in 2013. Conveyors can reduce the risk of musculoskeletal injury in tasks that involve manual handling by reducing the need for repetitive lifting and carrying of heavy loads. But the devil is in the details, as always. If your conveyor workstations aren’t correctly configured, they can actually contribute to the development of MSDs. Conveyor systems are essentially an interface with workers, and should be designed as such. What can you do to ensure you aren’t creating an ergonomic issue with your conveyor systems? When setting up conveyor workstations, factoring in ergonomic considerations isn’t just a good idea – it’s critical. Aside from helping you avoid long-term injuries and potential worker’s compensation problems, good conveyor/human interface design causes higher productivity and helps reduce errors since workers are fresher and less tired as they pick, pack, or assemble. When designing a conveyor workstation, you should make sure that it delivers the load directly into an ergonomically ideal work position for loading, processing, or other activities. When the item arrives, workers should not have to re-position it for loading to a pallet, into a container, etc. Utilize ball transfers or turntable tables to allow easy product rotation, or integrated scissor lifts to allow height-base positioning for work. Look at the workstation and find places where people have to bend or stretch. Do what you can to eliminate those postures. Other solutions might include balancers or positioners at critical work process points. Work surface height: The distance from the floor to the top of conveyor rollers or belt surface. This should be set so that the height of the load is at a comfortable working position for an average person. Reach distance: Make sure the distance from the edge of the conveyor to the load (where a person would have to grasp or manipulate a conveyed load) isn’t so great that bending or stretching is necessary. This also applies to side-reaching distances. Working height: This is the height at which hands are normally held to do work on conveyed items. Aside from its ergonomic benefits, conveyor design that embraces this is also safer, since people aren’t bending over running equipment where a chance that loose clothing or hair might be caught. Also see Cisco-Eagle’s extensive article on conveyor workstation design for more information. If containers on the conveyor are always moving in one direction, use gravity to your advantage. Deploy chutes or decline belt conveyors deliver goods from the mezzanine (or an overhead conveyor) to floor level at an ideal working height so that workers don’t have to bend or strain to reach them. Chutes or spirals are preferred because they take advantage of vertical space, freeing up more room for production, operations, and storage on the warehouse floor. Of course, there are other alternatives to chutes—such as incline conveyors—that may suit your needs in some situations. Approximately 1.2 million back-related injuries are reported each year, according to BLS data, so it’s important to reduce injury potential where possible. For items lightweight enough to be moved by hand, take advantage of gravity conveyors to avoid having to strain to move items between workstations, out of a truck, or other places where you have frequent activity in a defined area. Gravity conveyors, ideal for transporting materials in warehouses, back rooms, and production lines, work best for short, inclined runs. In a group of connected work cells, gravity conveyor lines are ideal for moving product between without people lifting it. If the cells are connected—and the volume is such that you don’t need a power system—allowing people to finish their work and roll it to the next station is both ergonomic and economical. Aside from the ergonomic benefits of moving a load with minimal strain to the worker, gravity conveyors are also low-cost and can help reduce energy needs in the warehouse. As noted in MHI’s Application Guidelines for Ergonomic Assist and Safety Equipment, expandable conveyors “provide a mechanized means of moving material to the worker,” resulting in fewer mistakes, less stooping, and less reaching. For heavier pallet loads, floor-mounted roller conveyors can prove to be an ideal solution to pass larger materials between workstations. The primary ergonomic benefit of these types of conveyors is they allow workers to easily work around the conveyor without the typical stresses or strains of dealing with heavier loads. We have implemented systems in heavy industrial applications where loads as large as rooftop air conditioning units (larger than passenger vans) or drilling equipment or large containers and other heavy machinery is conveyed at floor level. These items must be easy to move and handle. The use of conveyor in these situations is not only ergonomic—it’s a direct contributor to a lean manufacturing application. Since heavy-duty lifting and manipulation of heavy loads often leads to costly compensation claims, floor-mounted conveyors help to both protect workers and reduce costs for companies. Ergonomics Plus notes that ergonomic solutions such as these showcase a company’s “commitment to safety and health as a core value,” resulting in enhanced employee engagement, productivity, and efficiency. Above all else, ergonomic improvements to the warehouse can reduce safety and health risks posed to workers by making the working environment less physically demanding. Solutions such as conveyors can reduce the need for repetitive lifting and carrying while also improving material flow, processes, and labor. In order to realize the full benefits of conveyors and protect your organization’s most valuable asset – its employees – it’s critical to keep ergonomic considerations in mind at all times. How is your organization evaluating the work environment for ergonomic factors to drive employee productivity and safety?